Like every fine artist, Master Chef Alan Roettinger transforms the ordinary into the sublime. As a young man Alan started out as a sculptor, tried photography, and then discovered that the culinary arts provided him with unlimited opportunities for creative expression. He has been hooked on cooking ever since. When asked about his approach to meal-making, Alan said, “Go to the market and see what’s available. Start with fresh food. Be creative. Don’t stick with the status quo. Trust your palate. Challenge yourself—that’s when growth happens.” To make it easy for us, he shared his list of staples for the vegan pantry, including greens, dried beans, whole grains, nuts, and seeds as the basics. Alan wrote Speed Vegan to make gourmet vegan cooking accessible. “My goal,” he said, “is not to impress anyone with my skills, but to encourage and empower the average person to cook delicious food and eat at home.” The quick, easy recipes offer tasty surprises such as Chocolate Pots de Crème. Chef Alan writes cookbooks that encourage our creativity and tease our taste buds as we each find our own plant-based diet path to the good life. 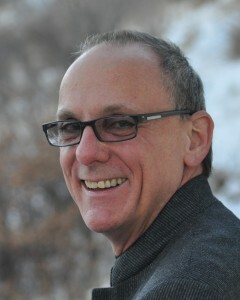 His book, Speed Vegan, is published by Book Publishing Company available on Amazon and healthy-eating.com.